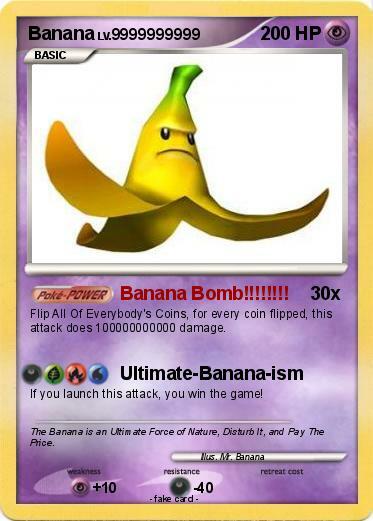 Attack 1 : Banana Bomb!!!!!!!! Flip All Of Everybody's Coins, for every coin flipped, this attack does 100000000000 damage. If you launch this attack, you win the game! Comments : The Banana is an Ultimate Force of Nature, Disturb It, and Pay The Price.